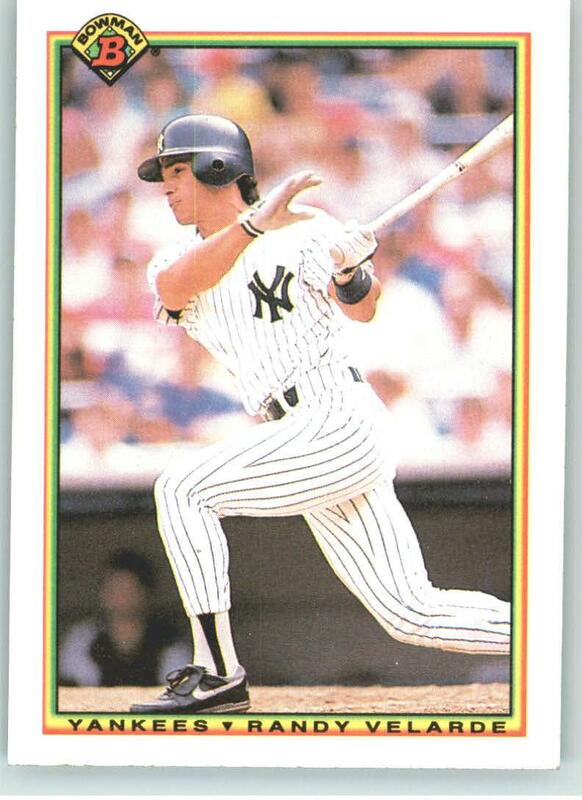 Velarde started his big league career with the Yankees in 1987 and was the team’s top utility infielder for the better part of nine seasons. He looked like a movie star and as each year passed he seemed to get his body more ripped. His best seasons in pinstripes were 1992, when he played in 121 games and hit .272 and 1992, when he batted .301. When the Yankees finally made it back to the playoffs in 1995 after missing the postseason for the previous fourteen years, Velarde was an important and versatile part of that team’s infield. When the Yankees lost in the first round of the playoffs to Seattle however, Velarde hit just .200 in that series. An overreacting George Steinbrenner then fired Manager Bucky Showalter and also replaced starters Mike Stanley, Don Mattingly, Pat Kelly and Velarde, who became a free agent. Randy then signed a pretty nice four-year deal with the Angels for right around $4 million. He had the three best years of his career as an Angel before being traded to the A’s during the 1999 season. He joined the Yankees a second time in 2001 but appeared in just 15 games. He retired after the 2002 season. This one-time Yankee pitcher and this former Yankee reliever were also born on this date.